Winter Wonder Days are back! It may be cold and even snowy, but it is the perfect weather to see animals outside enjoying nature’s cooler temperatures. Visit the Zoo and enjoy half-price admission through the end of February! Rock-A-Baby Concert – Make Some Noise! This exciting 45-minute concert specifically geared towards our youngest Zoo guests promises to be fun for the whole family! Shake, dance and sing along as we explore fun musical concepts, play games, and boogie down. Pre-registration is required. Learn, explore and discover during these 90-minute programs that focus on a special animal or area of the Zoo, and present opportunities for adult/child pairs to make discoveries together. Programs include a lesson, activity, a craft, an up-close encounter with one of our education animals, and a walk to an exhibit. Please note: This program does not include direct interaction with exhibit animals. Pre-registration is required. Explore the world of animals through children's literature! In this week of Tadpole Academy, campers will learn all about the animals that have inspired some of their favorite children’s books. Don't keep the kids inside during February school vacation, send them to Winter Adventures ZooCamp. Children will enjoy a full day of crafts, hands-on and inquiry driven activities, encounters with wild animal ambassadors, and even bundled-up tours of the Zoo. Roger Williams Park Zoo is Rhode Island’s premiere tourist attraction. As leaders in conservation and animal care – we create engaging experiences that empower guests to join us in conserving wild life and wild places. 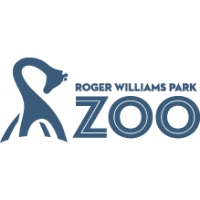 Roger Williams Park Zoo is supported and managed by the Rhode Island Zoological Society and owned by the City of Providence. The Zoo is accredited by the Association of Zoos and Aquariums and certified by American Humane.